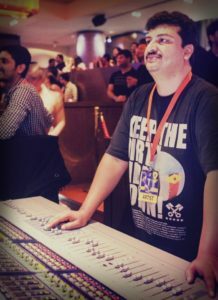 A sound engineer with over 20 years of experience in the field, Ashish Saksena is the owner and chief sound engineer at Purple Haze Studios in Mumbai. As a live sound engineer, he is the go-to name for musicians ranging from Shankar-Ehsaan-Loy to Farhan Akhtar and Ayushmann Khurrana. My mother was a voiceover artist and I used to travel with her during college and was incredibly fascinated with all the equipment during the time. My dad was a jazz and western classical music buff and knew Louis Banks very well. Having noticed my interest in all things sound-related, he introduced me to Louis Banks at 4D studios. After having me come to the studio for a month, I got a call confirming that I had a job with them. 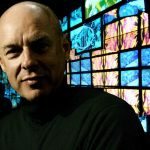 When I was still an assistant engineer at 4D Studios, Leslie Lewis, musician and composer was planning to start his own studio and asked me if I would work as the studio engineer with him, which I agreed to. After six months however, I began freelancing. In 1998, Leslie decided to quit the studio business and I and a friend bought over Purple Haze Studios from him. In 2001, my friend and co-owner passed away and since then I have been single-handedly running the studio. From 2004 onwards, I did a bit of live sound when Leslie and Hariharan started their band, Colonial Cousins because he knew that I knew the sound that he requires consistently. I toured with them for over a year. I also did a lot of work with Shaan and Sagarika. However, after those bands stopped touring, I came back to the studio and continued to do a lot of advertising work, film work and did a lot of work with Vishal-Shekhar, Shankar-Ehsaan-Loy, Ram Sampath and more. 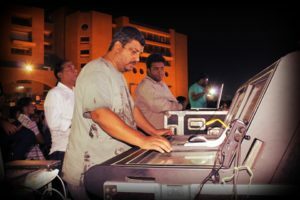 Some years back, Ehsaan and Shankar asked me to do live sound for them. My experience was primarily in doing sound for advertising as it was for Shankar-Ehsaan-Loy. They knew me well since they did most of their work at Purple Haze and so it was a natural progression to do live sound for their shows. When I first got into live sound, I wasn’t very committed or serious about it. As I worked in the field longer, I realised that it was a very vast and complex field. I also became very interested in the various facets of live sound, not just focusing on mixing the show. I got into the details of how to align the speaker systems and how to set up for a particular venue and other such technical aspects. Since I knew I lacked the know-how in these technical aspects, I began looking for places where I could update my knowledge. Niranjan was teaching a masterclass on Systems Calibration and I instantly signed up for it. It was a phenomenal experience and changed my perspective on so many facets in live sound. When it comes to live sound training, it is a hugely beneficial training and I would advise every engineer to do this course. I found it so great that I did the course twice. I am now the live sound engineer for Farhan Akhtar, Shankar-Ehsaan-Loy and Ayushmann Khurrana. I also sometimes work as a substitute sound engineer for Vishal- Shekhar when their engineer is unavailable. I recently signed on to sound for Gurdas Maan for his six-city tour in the UK in which he is going to be performing a mix of electronic with his signature folk elements. His musicians are the top-notch ones from Mumbai, from Darshan Doshi on drums and Jarvis on keyboard to Mohini Dey on bass. Before that, I will be in Kolkata to do sound for Farhan Akhtar’s concert.